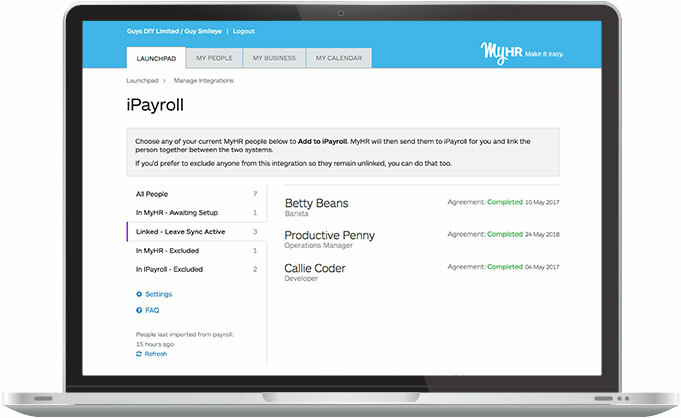 With this integration, our leave management tool is transformed into a leave application and approval hub, allowing employees with MyHR self service to view their current and correct iPayroll leave balances, apply and have leave approved, and then have the relevant leave data sent through to iPayroll to allow for a seamless pay run to be processed. If you are an existing iPayroll user, follow the easy, step-by-step instructions below to link both accounts. 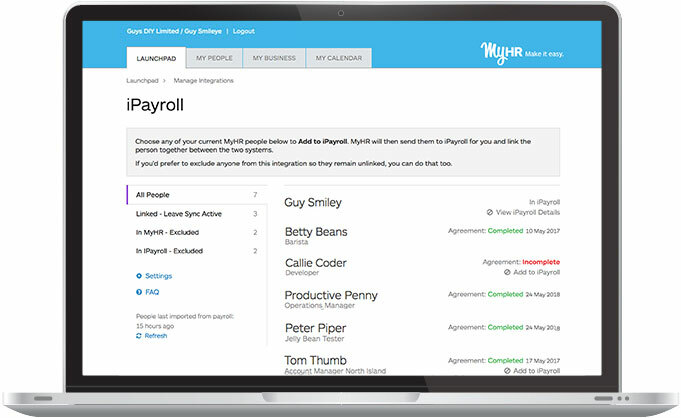 If you are not using iPayroll, but you’re interested in seeing if it is the right payroll system for you, visit ipayroll.co.nz. 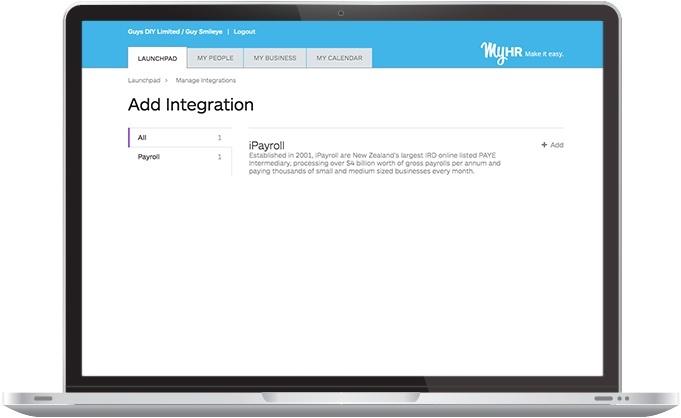 Choose the iPayroll integration tab. 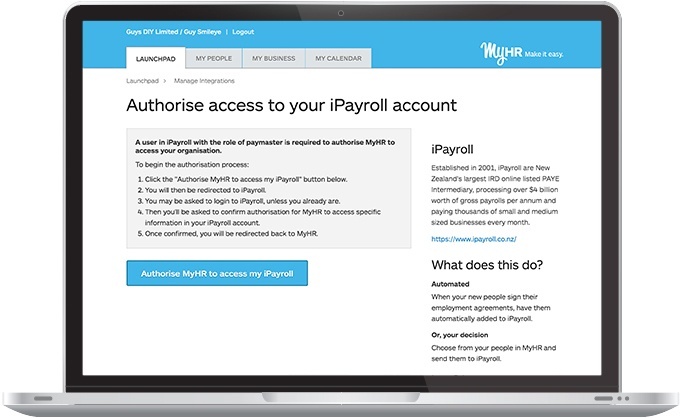 Click on 'Authorise MyHR to access my iPayroll'. 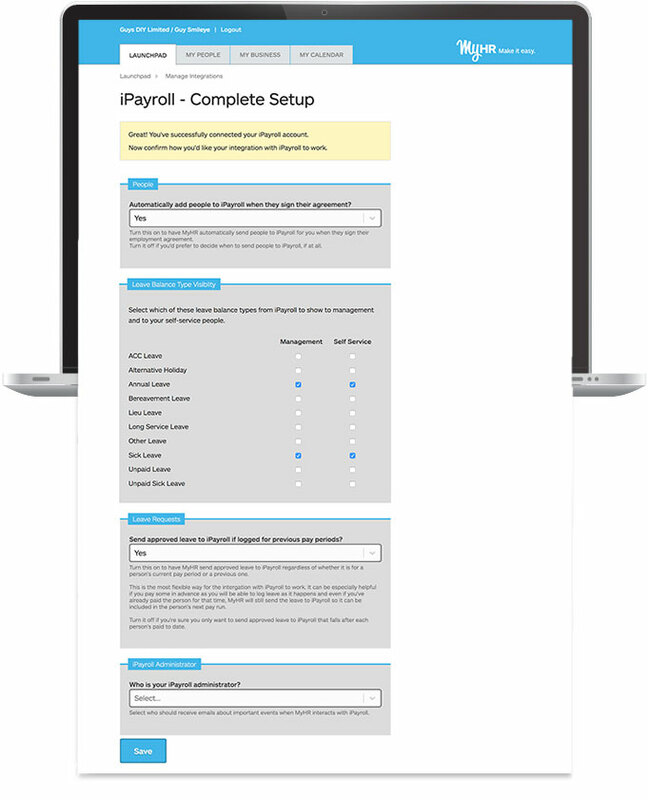 Complete the 'iPayroll - Complete Setup' form, then click 'Save'. 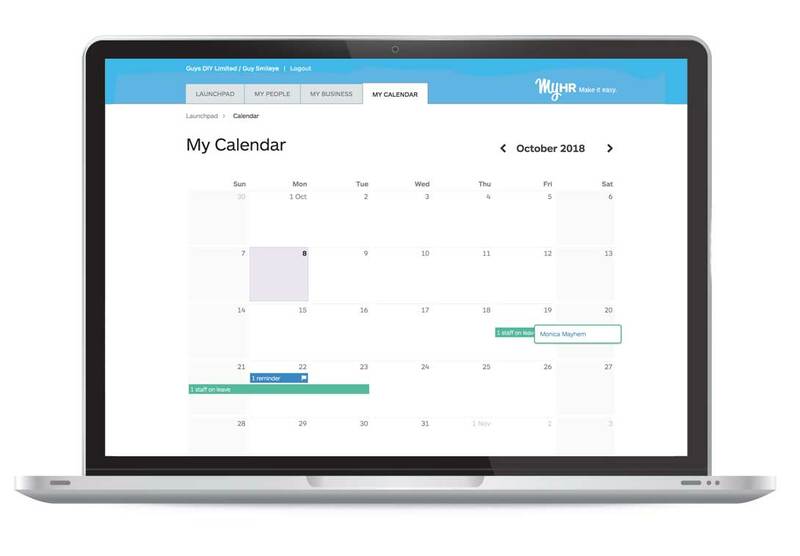 Once you have saved the form, let MyHR know at info@myhr.co.nz and the team will take care of everything else. Once the integration is complete, everything you need to manage the integration thereafter is located within the integration tab. From here you can sync, remove and add people not initially set up, as you wish. 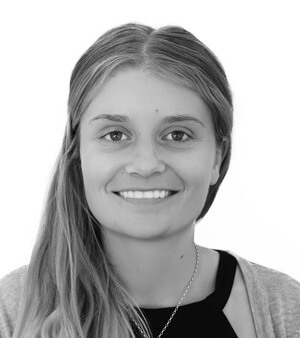 We understand that each of our client’s businesses are different, and the level of information they want to display to their teams will vary. 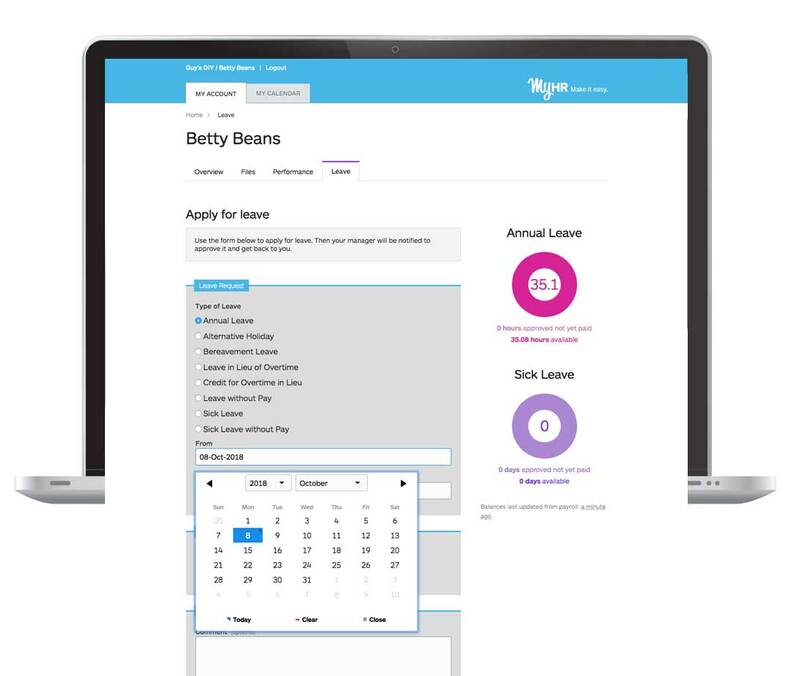 Therefore, this integration is fully customisable whereby you can elect to show managers’ and employees’ different leave balances in MyHR – to ensure discretion where preferred.